Hey Scotty, who would you date? 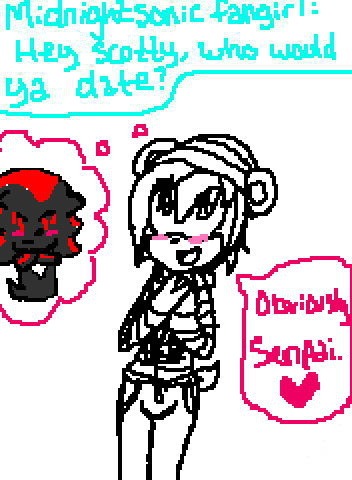 *Gasp *You want to date Midnight 's brother?Ehat do you thinks gonna happen when she finds out? Okay, might as well get the pervy question out of the way: Hey Scotty, can we see you naked?